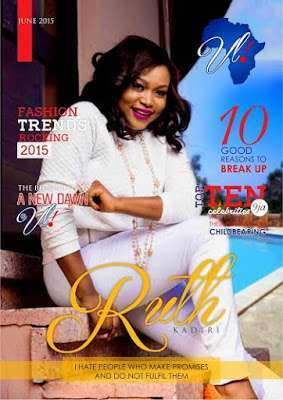 Actress Ruth Kadiri covers the latest issue of VL Magazine. The actress who sits pretty in white safe for a gold dainty neckpiece beamed happy smiles for the cover shot. The pretty actress chose dewy makeup look and vibrant plum lips with hair in short cascading curls for the chic white look.